Our office is located at 4119 Embassy Dr. SE, Grand Rapids, MI. 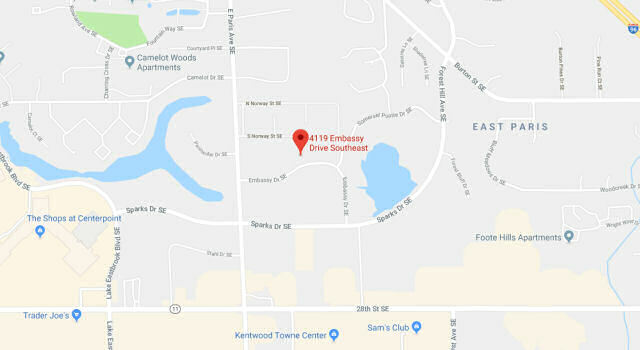 Embassy Drive runs in between East Paris and Forest Hills, just north of 28th St. Our office complex is the building immediately West of the Kentwood Fire Station. We are the front, leftmost office closest to Embassy Dr.
Click on map for more detail or driving directions.